Alex is a second-year Ph.D. student at Johns Hopkins University in the Department of Biomedical Engineering. 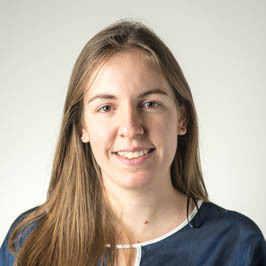 Prior to joining the Computational Cardiology Lab in 2015, she completed her BS in Computer Science and Biochemistry and Molecular Biology at University of Richmond, and worked in an Organic Chemistry Synthesis Lab. This year, Alex has been awarded the David C. Gakenheimer Fellowship from the Institute for Computational Medicine. In her research, Alex focuses on developing single-cell ventricular myocyte models that will help her uncover the mechanism linking microstructural remodeling to arrhythmias in patients suffering from hear failure. Outside lab, Alex enjoys reading, cooking and traveling. Should you have any questions about her research or if you are interested in joining the lab, feel free to contact Alex via email at abadice1@jhu.edu.